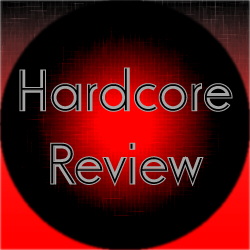 This review covers the hardstyle track Da Tweekaz Ft. Popr3b3l – Your Love (Original Mix). This track was released in 2014. It was released along with the radio version of this track. The track starts with a hardstyle kick and a chopped vocal. After a brief buildup, the track hits a drop with a synth sound. The track then starts building up with a growling synth and the main melody. There is the addition of a few synths before the track goes back to a hardstyle kick, synths, and chopped vocals. From there, the track hits a second drop. The growling synth makes a return along with an additional synth effect. Shortly after, the main vocals return again. A rock drumkit takes over which is definitely not something you would expect normally. This is all joined by some synth melodies. After the vocals finish, a synth melody takes over for a brief moment. The vocals then make a brief return before the track returns to a hardstyle melody and kick. After this, the track then goes back to a general rock drumkit and vocals. The main synth melody then makes a return and continues on the hardstyle side of things. The track then backs off a bit before going back to a more hardstyle sound with the chopped vocals again. From there, the track makes one final breakdown. One of the problems I see with more uplifting hardstyle tracks is that the vocals just don’t quite fit the hardstyle sounds being used. What is impressive is that the vocals here manage to sound great whether backed by more acoustic sounds or the hardstyle elements. What’s even better is the fact that the producers took full advantage of this and have them heard both in the more acoustic elements as well as the hardstyle portions as well. While the vocals are definitely the main strength, what I find great as well is the inclusion of a more rock drumkit. There aren’t really any rock guitars heard here, but the synths used in these sections work quite well. What’s even better is the fact that these elements manage to blend so well into the hardstyle portions of the track. Why I am impressed is because when I hear the elements separately, I think that there is no real way to make them work together. Yet, this track successfully does so. So, a great accomplishment there. The main synth melodies are pretty good. Are they amazing? Maybe not. But they do blend well with the other elements. So, a solid showing there if you ask me. Overall, this track manages to take a couple of different musical elements that aren’t likely to blend together well and makes them work. That is certainly impressive. The end result even sounds quite good in the process. I think the rock drumkit mixed in with synths and hardstyle works quite well. The vocals that manage to carry through pretty much everything which is great. An overall very solid performing track.